You should be able to change it from within KDE System Settings. Have you tried it? I seem to recall that I had to pick a file in a location that was readable by all users. I couldn’t get it to work when picking something from my home directory. @lots.0.logs And how would i do thaat? You just click the icon next to “Custom Background”. However, it has occurred to me that I just assumed you were on Plasma5, which is likely not a safe assumption. 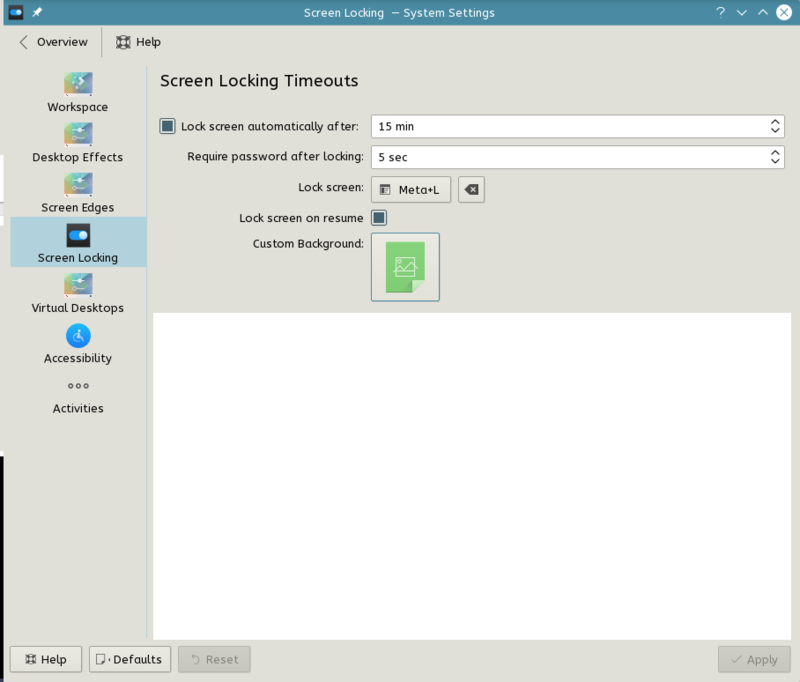 So if you are on KDE4 then it makes sense that you are not seeing the same thing. I think many people would say Plasma 5 is still not mature enough. However, while I did have some issues with 5.1 and 5…2, I’m finding 5.3 to be pretty great, and have no complaints. I like it better than KDE4, but I don’t want to be responsible for suggesting for you to switch to it, if you have a bad time with it - so I’d suggest searching these forums or googling regarding Plasma 5.3 and see what you think. Plasma 5.4 is due shortly, but I don’t know exactly when.